Personal (Jack Reacher 19) is the nineteenth instalment of the Jack Reacher series of novels. Jack Reacher is leading a life of a loner. His life as an US army officer is as good as over. In this book, he is a gypsy with no destination. He doesn't know that his uneventful life is soon going to be rocked by some thrilling action. Someone has tried to gun down the French President. The army is on the lookout for Jack Reacher, because they need him to answer some of their questions regarding the incident. They eventually find him and Reacher is told that the army knows who the culprit is and that he is the sole man who can help them nab the perpetrator of the attempted murder of the French President. For Jack Reacher, the risk involved in this escapade is much greater, because this time it's personal. The book follows him as he embarks on an adventure which takes him to the Atlantic, Paris and then finally to London. 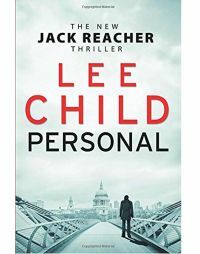 A part of a bestselling series, Personal (Jack Reacher 19) by Lee Child is available in paperback. It was published by Random House in the year 2014. Key Features: A feature film based on the Jack Reacher series was released in 2012, starring Tom Cruise as Jack Reacher. Lee Child is a world-renowned author of thriller novels. He was born in Coventry but now resides in America. Killing Floor was the first novel in his Jack Reacher series and it won several awards, including the Anthony Award for Best First Novel. His books have always secured the top position in bestsellers lists and have been translated into more than forty languages. All his novels have been considered for adaptation into major motion films. The first movie, titled Jack Reacher, was adapted from his book One Shot. He has also received an award 2013 from the Crime Writers' Association- the Cartier Diamond Dagger for lifetime achievement.